Lads and Lassies, show your celtic spirit! 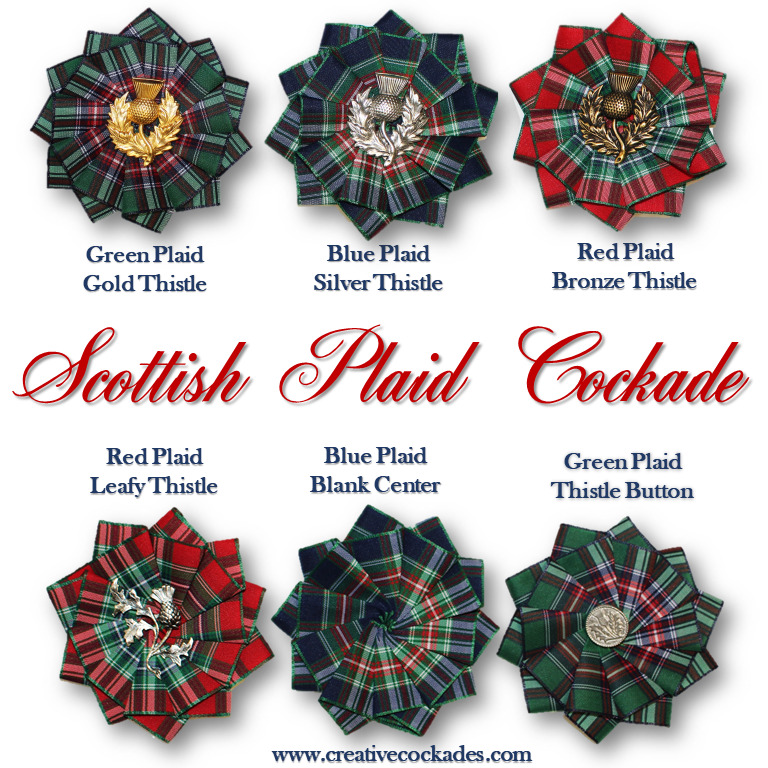 Pick your plaid and choose your center emblem. These are not official tartans, just generic plaids. The cockade is approximately 3" (7.5 cm) across and has a silver-plated pin back.